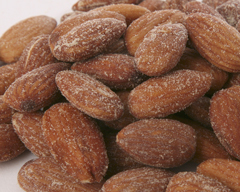 If you thought almonds were just for satisfying your mid-afternoon munchies, you're in for a surprise! 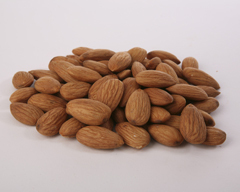 Almonds are one of the most nutritious of all nuts, low in saturated fat, high in protein, contain calcium, magnesium, vitamin E and are cholesterol free. A classic favorite. 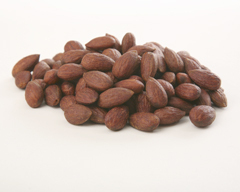 Roasted and hickory smoke flavored California nonpareil almonds are generously salted with spicy chili barbecue seasoning. 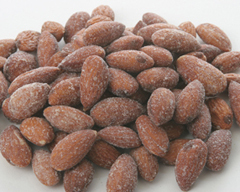 Supreme California nonpareil almonds are blanched, lightly roasted and salted. Beautiful to serve, tasty to eat. 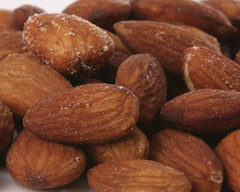 Roasted California almonds are coated with sweet honey and cinnamon for a nutritious and delicious snack. The garlic-lover's choice. 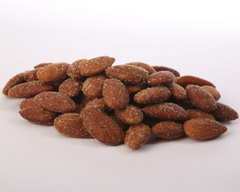 Supreme California nonpareil almonds are roasted and salted with garlic flavor. 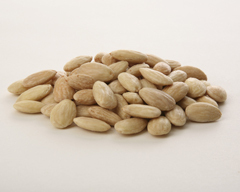 A blend of both garlic and onion seasons these roasted and salted Supreme California nonpareil almonds. 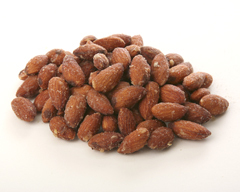 These roasted California almonds, sweetened with honey, are a pleasant contrast when paired with salted almonds. 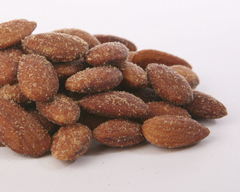 Supreme California nonpareil almonds are roasted and salted with onion flavor. A delicious snack that satisfies hunger and keeps pounds off. In Orange-Lemon Honey roasted almonds, we combine the refreshing flavor of two famous California products - Almonds and Citrus. Supreme California nonpareil almonds - roasted and lightly salted. 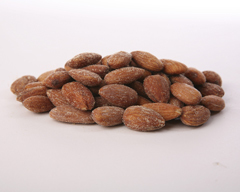 Supreme California nonpareil almonds are prefectly roasted, crunchy and flavorful, without salt or other flavorings. 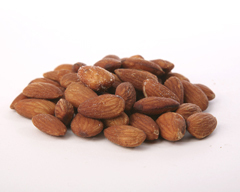 High in protein, fiber and heart-healthy fat with vitamin E, and other cancer-fighting vitamins and minerals. 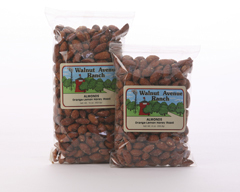 Hickory smoked California nonpareil almonds with a kick of Walnut Avenue's own blend of sizzling and spicy BBQ seasoning. Have something handy to drink with this snack. 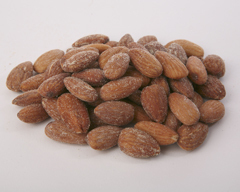 Supreme California nonpareil almonds are roasted and flavored with a savory hickory smoke seasoning and then very lightly salted. A perennial favorite. 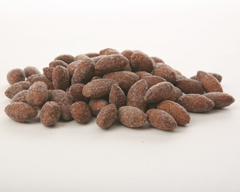 Japanese soy sauce with sea salt seasons these California almonds, covering them with mouth-watering flavor.